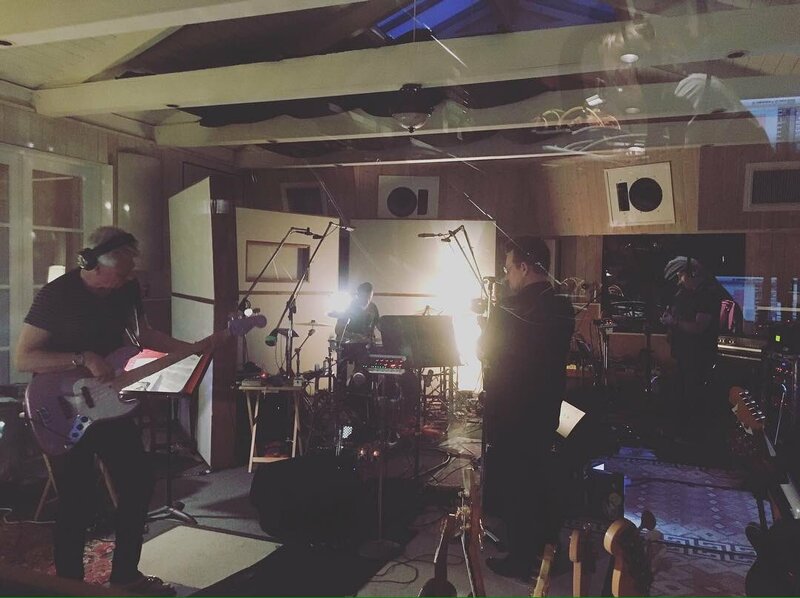 U2’s recent Instagram post showing them in the studio. Which is a little disconcerting because this year, of all years, would be a nostalgic time to actually do the obvious. The band turns 40 on September 25, 10 days before they’re due to play at Salesforce’s Dreamforce event in San Francisco. Wouldn’t it be just perfect for them to release the new album Songs of Experience on September 25? They then play some songs from the new album at Dreamforce, we hear them live for the first time, and they get a run-through in preparation for the next leg of the tour. If you marry this up with an interview published by a Spanish newspaper late last year which quoted photographer Anton Corbijn saying the new album would be released in September, 2016, that magic date of the 25th might just be on the money. On the tour front, there have been plenty of rumours fuelled by an Instagram post from a fan who met Bono and it seemed he may have spilled the beans – new tour to start in autumn in Miami. Any time soon after the Dreamforce event would still be autumn, if you get my drift. The post was taken down not long after. Of course, Salesforce was a sponsor of the iNNOCENCE and eXPERIENCE tour, so for U2 to appear at its Dreamforce event makes a lot of sense. Interestingly, Salesforce executive vice president and chief marketing officer Lynn Vojvodich told @U2 last year about the company’s relationship with U2 and mentioned an app that “will elevate the fan experience with the band, as well as connect fans in a way they haven’t been before”. While I’m not sure if that app has seen the light of day yet, does it relate in some way to Bono’s note to U2 fans way back in 2014? “We’re collaborating with Apple on some cool stuff over the next couple of years, innovations that will transform the way music is listened to and viewed,” he wrote. Salesforce has had some dealings with Apple in the past. Will this new technology be revealed to the world at Dreamforce? While this is all pure speculation, it does look like the U2 machine will kick back in to gear very soon. Let’s just hope they do a bit of obvious.